In November of 2017, YouthHOPE launched Youth Leadership Academy (YLA) in Narok, Kenya. 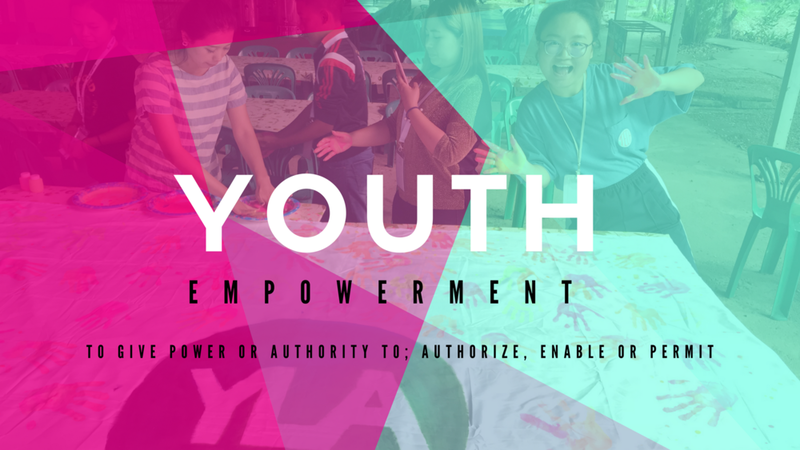 YLA is YouthHOPE’s newest program designed to train young leaders around the world. The vision of YLA is to equip and empower young people to be leaders in their homes, churches, and communities. At YLA, we teach practical leadership principles, promote self discovery and learning, and challenge students to discover what God is calling them to do. Throughout the training, youth develop a detailed community action plan which launches them into a practical service-oriented role in their community. Watch this video to see how you can get involved to shape the next generation! After a successful launch in Kenya, and an additional YLA event in Thailand, we are excited to see how God will continue to use YLA in 2018. Our dream is that this program not only impacts the lives of youth, but those youth will impact their communities and the world. We are making a big transition in 2018! We love the city! And we have missed it ever since we left Santiago, which is similar in size to Chicago. We love the diversity and energy that the city has and know it is a place where things happen. There is nothing keeping us in Fort Myers. Sofi graduated from high school and our commitment to not transition during that period of time is completed. Also, Aaron can work from anywhere and the YouthHOPE team is ready for this kind of change. Aaron is transitioning from being Executive Director to Director of Strategic Partnerships. The leadership of YouthHOPE is growing and now three team members will be directors and lead the team together. When visiting Chicago for a conference, Angie and I reconnected with friends, Sergio and Denise Diaz Ramos. Sergio was in Aaron's youth group in Chile and now is on staff at a church in the area of Chicago where we want to live. We also attended their church and loved it! Having a church to call home and where we can serve before moving is amazing. Angie will be phasing out of working at NMSI and is looking to serve at a local non-profit in Chicago. She has an interview next week and we hope it is a good fit. Angie will be returning to working in accounting and finance. She is excited about this new challenge. Aaron is restarting his Ph.D in Leadership Studies at Johnson University and we believe it will be more productive to not be based outside of the NMSI offices during that time. We are confident that there is so much more to learn about why God is calling us to Chicago. Aaron is especially concerned about reacclimating to the cold, but Angie is over the moon about having four seasons again, after 20 years away from the midwest. More than climate, we are passionate about new opportunities to invest in the lives of young people in the Chicago area and know that God will guide us to them. Last fall, we had the great privilege of leading a Youth Ministry Leadership Training with a network of ministry leaders in an Asian country with security concerns. An outgoing young man named Mark was a new intern with the host ministry. He was also our driver for the week. The first time he picked us up, he asked, “Do you like rap music?” I said yes. Then he asked, “Can you rap?” I said no! So Mark gave us a demonstration of his rapping skills in English and Chinese. I could tell that Mark was the type of guy who just goes for it. During the training week, Mark shared his heart for reaching his peers--college students. Our training programs lead participants through a process for creating an action plan. Each person leaves the training knowing exactly what their next steps for implementation are for the next week and the next year. Mark’s was clear: he was going to gather a group of college students, find out what they are passionate about, create a plan, and lead them to serve their city. I’m eagerly waiting to hear what great things they accomplish. Every generation has stereotypes, good or bad, including my own Generation X. However, I feel we have to be very careful with labels the Church places on youth today. When we buy into these stereotypes we begin to treat a population of people differently and begin to alienate and/or marginalize them. Often times, the world desires to use young people for their own personal gain. They seek to exploit, exclude, or entertain them, in hopes young people will generate more power, political gain, or wealth...sometimes all three. It's a strategy to dominate the world. If the church isn't careful, we can fall right in line with these thoughts. The church may not think its exploiting or excluding youth, but when we treat them as if they cannot contribute to the Body, then we are doing just that. And when they have the "freedom" to walk away, they will. And unfortunately, statistics are showing this to be a reality. The area of entertaining young people in the church might be more of a touchy subject and difficult to talk about. However, the church is not in a place to battle against the entertainment industry. Financially it's not a reality and honestly, we shouldn't turn Jesus into something young people should be entertained by. In John 6 the crowds left Jesus when He taught some very hard things. In fact Jesus asked the Twelve, "Do you want to go away as well?" Their response, "Lord, to whom shall we go? You have the words of eternal life." So where do we land? I believe (as well as YouthHOPE and its partners) youth should be EMPOWERED. Empowerment is about positioning young people to be able to lead well, to make an impact on their culture, and to fulfill God's plan for their lives. When the Church empowers young people it strengthens the body of Christ.